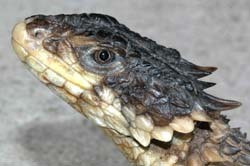 This website is intended for everyone interested in reptiles and amphibians. It is also the primary means of communication with all participants in SARCA (Southern African Reptile Conservation Assessment). All illustrative photographs are subject to copyright and may not be used without the permission of the photographer. Unless otherwise stated, all photographs are by Marius Burger. Photographs in the SARCA virtual museum collection may be used without permission, but the photographer (i.e., the observer of the record), and this website, should be appropriately acknowledged. If you use quotations from articles on this site, please cite the relevant author and URL. 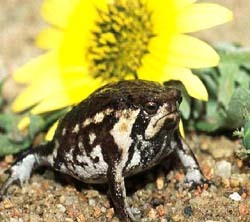 This site is compiled and maintained by the Animal Demography Unit (ADU), Department of Biological Sciences, at the University of Cape Town (UCT). The SARCA project ended in March 2009, but this website will remain accessible until further notice.